ShoppingHongKong has been organizing bazaars and events at five star venues around Hong Kong for more than fifteen years. These bazaars are seasonal and consist of the highest quality and most coveted merchandise from around the world. We proudly source for unique brands that not only provide value to the customers, but also to the local community. Our bazaars provide a one stop shop for busy, on the go consumers by offering a variety of exclusive items under one roof including: women’s and children’s apparel, ethnic and contemporary jewelery from around the world, exquisite home accessories, educational toys, art, health and beauty products, gourmet food and wines, and so much more! In an effort to fill in the gap between exceedingly priced designers stores and overly simplified local markets, Shoppinghongkong hosts around 10 events per year. Each event is extensively marketed through our contact base of over 5,000 subscribers as well as through various relevant websites and publications. The bazaars offer participating vendors a platform to raise brand awareness and trial, reach hundreds of potential new clients and increase their customer database. This is a more efficient, cost effective way to create synergy and buzz rather than traditional print advertising. As the market leader In event management and seasonal bazaars SHK is a perfect partner for brands who want to get more exposure through our events platform, media partnerships and EDM’s. We value our relationships with vendors and shoppers and always strive to give the best best possible service and accommodate client’s needs. We take time to understand our clients needs and then we find ways to fulfill those needs and tailor make propositions that will suit the client. Nothing is fixed when organizing big events. We manage our events with flexibility and take the changes in stride and work accordingly with different circumpstances. Events are extremely demanding, but hosting a successful one is the reward that would keep us going for another 24 hours in a row. We always aim for success! We love thinking out-of-the-box, no matter if it is a matter of finding an alternative location, tailoring an event from scratch or figuring a totally different layout. Problems and challenges are not an issue for us, but a spicy challenge to our creativity, patience and love for people. It is the small things that matter. We love observing, learning and preventing that some apparently insignificant details turn into big issues. Attention to detail allows us to ensure that everything is properly organized and thaty the event runs smoothly. We prioritize things at work and this allows us to be more productive and achieve more within a limited time period. A graduate in Inter linguistic and Intercultural Studies in the University of Florence, communication and interpersonal skills come naturally to our bubbly Business development manager Pavleta. Before taking over the ShoppingHongKong business Pavleta was involved in importing small niche brands from European market to Hong Kong, as well as founding her Personal Styling business Stylish Sisters in 2012. A passionate for all things fashion and style as well as people Pavleta is responsible for vendor acquisition and events logistics, two tasks that she always takes on with much enthusiasm. 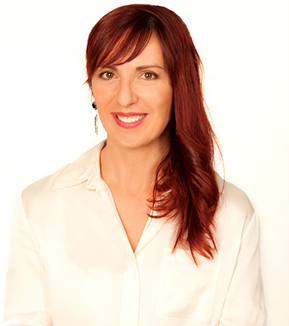 Bojana has more than a decade experience in Marketing as well as public relations. From Financial PR and running the Marketing section for the glamorous interior design legends Andante and Louvre Gallery in Duddell Street and founding her own digital Marketing Consultancy Bo Consulting Bojana deals with all things marketing and media relations for ShoppingHongKong. She loves social media as well as finding the best and most effective new ways for promoting the business.